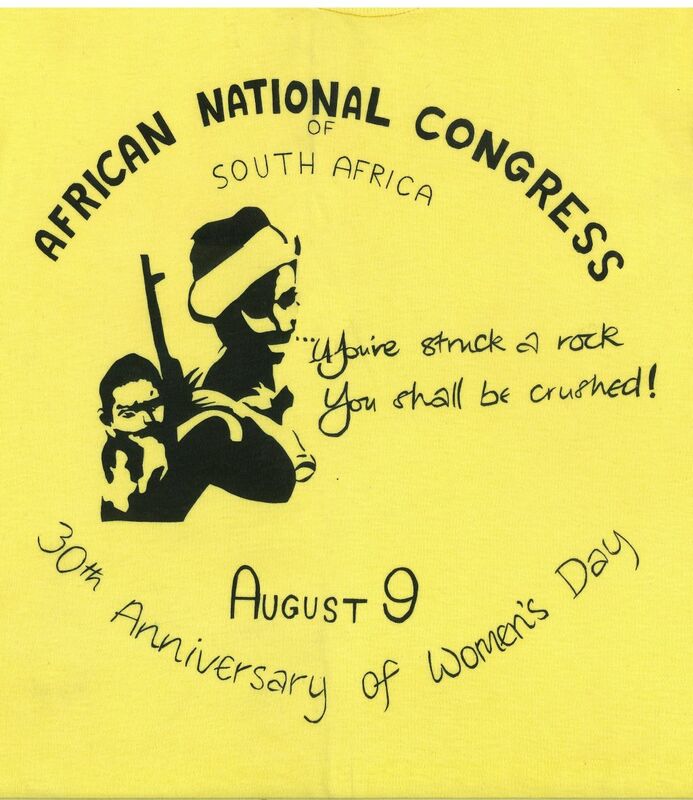 African National Congress of South Africa. You have struck a rock, you shall be crushed! August 9, 30th Anniversary of Women's Day. On August 9, 1956 some 20,000 South African women demonstrated against the pass laws at Union Buildings in Pretoria. The date became South African Women's Day.